The first of many celebration boxes has been devoured, the John Lewis advert has been revealed and the Christmas shopping is underway. Pass me a bucks fizz! Being far from my family and friends has made me even more excited for the festivities this year, of-course Christmas isn’t all about gifts, but I love gifting my favourite people. 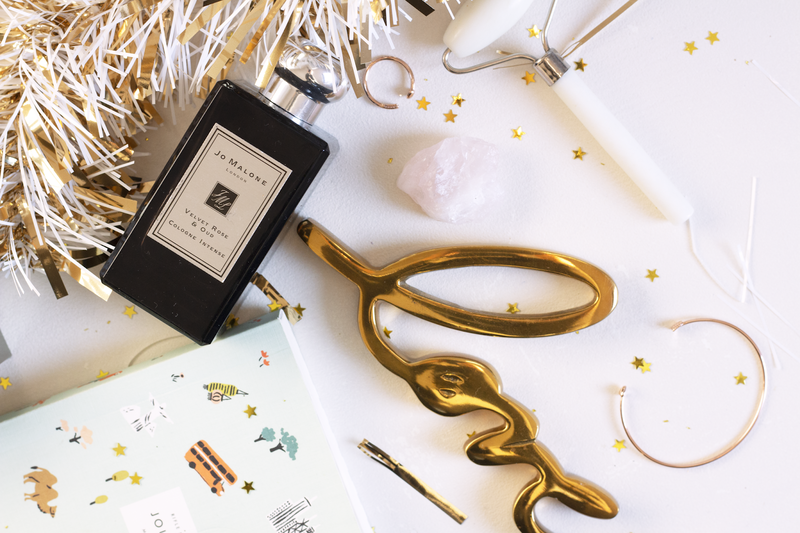 Plus, I do love putting these gift guides together. Every year the choice from brands gets better, I feel like it’s actually quite overwhelming with the variety but there are a couple of gift sets that have stood out to me this year. For skincare the Emma Hardie Instant Radiance Kit is a definite favourite, it contains the cult Moringa Cleansing Balm, a mask, facial oil and cleansing cloth. 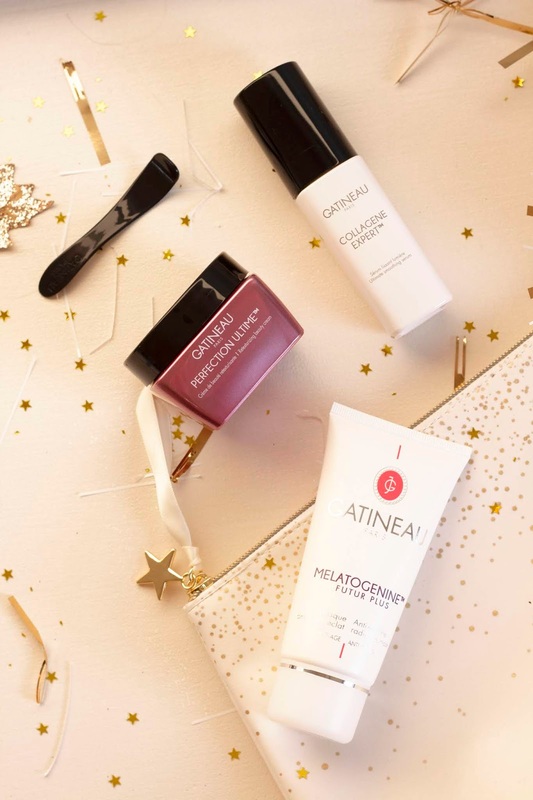 I love how all of the products are staples from the brand and the perfect starter kit for anyone who loves skincare (I’ve been using the cleansing balm, I can confirm it’s as good as everyone says) Plus, this gift set is amazing value at £60 as the cleansing balm is usually £47 alone! Another favourite that I’ve actually already gifted my mum (keeping surprises isn’t my strong point) is the Gatineau Ultime Smoothing gift set. My mum already loves and uses the Perfection Ultimate cream so this set made perfect sense, also, the bag you get with this is beautiful and something I’m pretty sure she will continue to use. For more of a budget friendly skincare gift the Gatineau facial massager is perfect, it’s the kind of present you just can’t go wrong with as it’s suitable for any skin type. Another more affordable gift I love is this set from Origins, still an amazing skincare brand and the chance to try out a good selection of their masks for £15. As much as I love makeup, I do feel like gifting makeup can be quite risky. Some of my favourite brands for Christmas gifting are Charlotte Tilbury (her sets are just magical), Laura Mercier and Stila. The Kiss Me liquid lipstick set from Stila is one of my favourites for lipsticks, I love the formulation of these and the shades are perfect for autumn/ winter. From Laura Mercier this highlighting trio is stunning, it’s the kind of thing that works well for every skintone (I know I would be pretty please to get this on Christmas morning). Lastly Charlotte Tilbury, this year again she’s smashed it with the most magical gift sets, I love how many options there are so depending on your budget and how much you know the person there’s literally something for everyone. I think even gifting one of her quads is a nice idea! 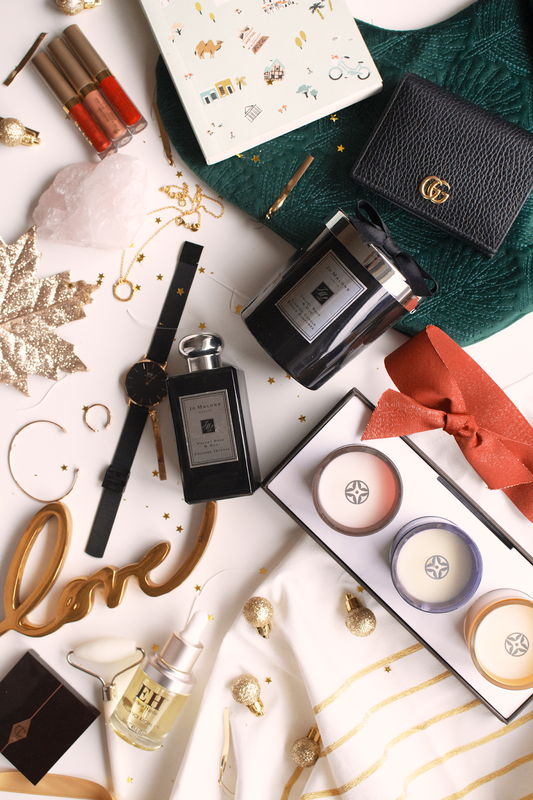 I couldn’t do a gift guide and not include Jo Malone, you all knew it was coming (I definitely have a couple of bits on my Christmas wishlist this year). Already so many of the gift sets have sold out online so it’s definitely a brand you need to shop early. 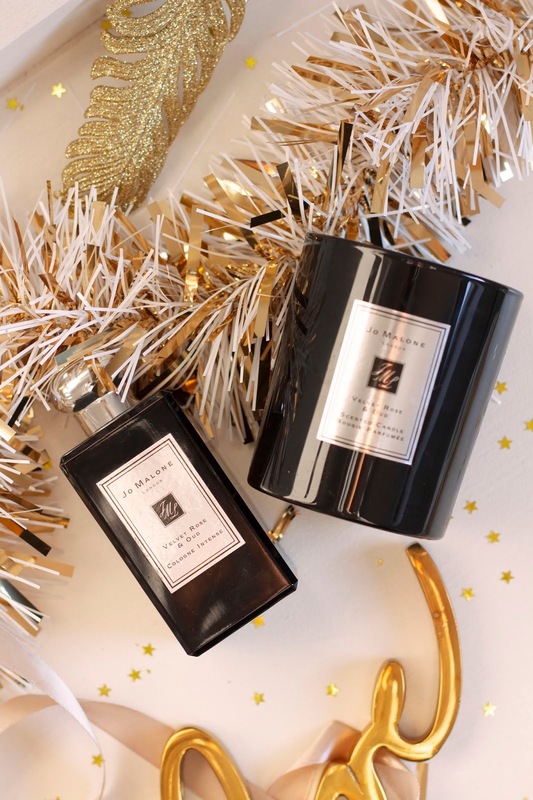 but one of my favourite scents for this time of year is Velvet Rose & Oud, both the candle and scent are so luxurious and the perfect winter/ Christmas treat. I also think it’s nice going into January with a luxury candle to burn, it can feel quite gloomy and they just manage to keep some of the festive cosiness alive. If you’re looking for bath and body related products there are a few I love the look of this year. Molton Brown do some incredible affordable sets and the gorgeous gift wrapping makes the products feel even more luxurious, I love this cracker set of travel products. Another thing I spotted this year is the L’Occitane advent calendar, as I’m writing this it’s actually in the sale so even better value for the products you get. The last beauty related gift is the Sensationail Peel Off Gel Nail Deluxe Starter Kit. I know so many people who do their nails themselves, it’s convenient and this is one of those things you don’t necessarily think to splash out on yourself which I why I just love the idea of gifting it. The colours you get in this set are perfect as starter shades (their’s a glitter and berry red that are perfect for Christmas), I’ve used the kit myself and it really does receive a salon like manicure. Two things I love receiving at Christmas are pyjamas/ cosy clothes and books, and because of that I tend to gift them quite a lot too. For pyjamas one of my favourite places to look is actually M&S, they’re good quality, affordable and they usually have some gorgeous festive designs. I also love this pair from Topshop, they’re so luxe and you can’t go wrong with the soft blush pink shade. This year I have these red polka dot pyjamas from ASOS as my festive pj’s! Along with books you can’t go wrong with journals and nice note books, Rifle Paper Co is now in Waterstones (all prayers answered). A couple of other places that have amazing options are Oliver Bonas and Urban Outfitters. I’ve gifted this from Oliver Bonas a couple of times to friends that have been travelling and I think it makes the perfect gift or stocking filler. I mentioned this in my gift guide last year, and I’m mentioning it again because it’s still something I use every single day and have done for over a year. The Gucci Card Case is definitely a more luxurious gift, but if you have the budget it’s absolutely worth it. Plus you can personalise this now which I would have definitely done if I had the option. If all else fails I really do think you can’t go wrong with a scarf, in fact winter accessories in general! I love this one from ASOS, but for a more luxe option this cashmere scarf is stunning (I love the colour and it will pair well with most coats). Something else that also seems to be appreciated is good knitwear, And Other Stories has been my go to this season and they have some amazing, good quality jumpers that I know would make me v happy unwrapping on Christmas morning. Lastly there’s just a couple of jewellery pieces to mention. Watches can again be tricky, but Daniel Wellington are always so good for their choice of classic designs. One of my favourites is the Rose Gold Mesh Bracelet Strap watch, I love the sleek design and how it’s perfect to wear day to day and for more special occasions too. When it comes to rings they’re so tricky to get right with sizing, but the Ted Baker Cupids Arrow Ring is adjustable! For the quality and how sturdy this piece is it’s really affordable and definitely one to consider if you did have a jewellery piece in mind to gift this year. And there you have it! There are some my suggestions for Christmas gifting this year. I hope this gave some of your some inspiration and I hope you all have a wonderful Christmas. Also, if you prefer one big gift guide to smaller ones then please let me know! "5 Self-Care Tips For Autumn & Winter." "A Little Catch Up & 2018 In A Nutshell." Agreed, you can't go wrong with both the candles and fragrances!